Meteorological tsunamis are tsunami-like waves that have a meteorological origin. These 'meteo-tsunamis' are driven by sudden air-pressure disturbances. 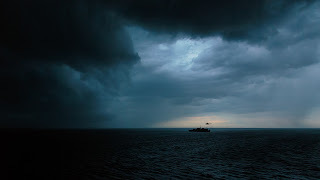 They are therefore often associated with fast-moving weather events, such as severe thunderstorms, squalls, pressure jumps, and other storm fronts. The storm generates (barotropic) waves that move towards the shore, and are amplified by shallow continental shelfs, inlet, bay, fjord or another coastal feature. In contrast to impulse-type tsunami sources, a traveling atmospheric disturbance normally interacts with the ocean over a limited period of time from several minutes to several hours. Meteotsunamis are restricted to local effects because they lack the sometimes immense energy that can be available to a significant seismic tsunami. 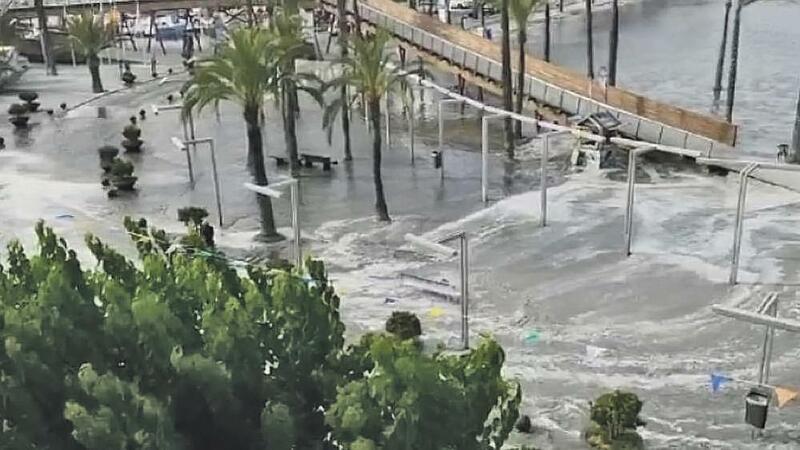 However, when they are amplified by resonance they can be quite hazardous and waves can reach a height of 5 meters In 2018 a German tourist died as he was swept out to the sea by a meteotsunami that hit the the Balearic Islands of Majorca and Menorca. 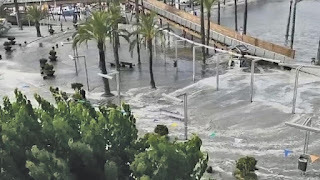 In the western Mediterranean basin this sort of tsunamis are relatively common and are known by local names such as rissaga (Balearic Islands), milgħuba (Malta) and marrubbio (Sicily).